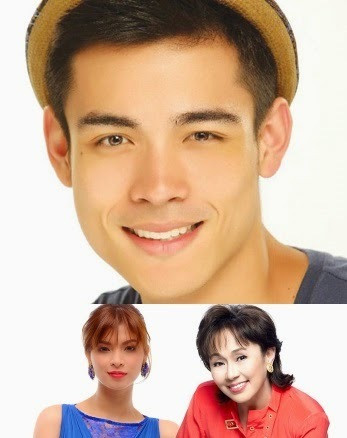 Is Xian Lim ready to do his best to impress Ate Vi on their new movie? Xian Lim is not threatened if ever someone would show interest in courting the kapamilya actress Kim Chiu. “Ah wala naman, wala akong nararamdaman. Wala naman siyang nakuwento sa akin. If ever man na meron, siguro naman sasabihin niya sa akin ‘di ba? Grabe naman ‘yon,” said Xian. Meanwhile, the kapamilya actor is set to start on his new movie project with Ate Vi (Vilma Santos) and Angel Locsin. Xian expresses his feelings of being excited to do the project with the two of the most talented actresses in the showbiz industry (Ate Vi and Angel) because this is his first time to work with them. “Sila nag-start na, ako hindi pa. Ako siguro after pa ng mga ilang shooting days nila. Aside from working with them, alam kong marami akong matututunang aral dito. Alam kong marami silang mabibigay sa aking advice o kung hindi man sila magbigay sa akin ng advice, makikita ko ‘yung work habits nila, never ko pa silang nakatrabaho,” shared Xian. Mr. Lim also prepared himself from detractors if ever there will be any negative feedback on him for the said new movie project. “Naghahanda naman ako, ready naman ako do’n. I mean ready naman akong magpakita ng emosyon. Babasahin ko naman ‘yung script. Aayusin ko naman ang trabaho ko,” he added. Manolo Pedrosa (wonder son of Quezon City) is very happy because of the outstanding viewer's ratings of his new Kapamilya teleserye entitled "Oh My G!". Being new in showbiz industry, Manolo expresses his gratitude on being part of the said TV program which will be also starred by Marlo Mortel and miss Janella Salvador. “Ang saya kasi halos everyday na ‘yung taping namin, and marami na akong sequences. So even if it’s hard I enjoy it because it’s work,” explains Manolo. Meanwhile, even though he is busy doing his projects in ABS-CBN, Manolo is still eager to push his best to continue his college education next month. “I want to try to go to college while working at the same time. I applied for Enterpreneurship course at Enderun College. My former classmates, actually hindi naman sila nauna sa akin. Sumabay na rin ako kasi I took a test in DepEd so I didn’t lag behind. I miss my high school friends so much because I didn’t get to graduate with them. I didn’t spend fourth year with them. Before noong kakalabas pa lang ng PBB (Pinoy Big Brother). Siyempre kasama ko lagi ‘yung mga housemates kasi ‘yung mga kaklase ko they have school pa so they’re always busy. Now it’s medyo balance na. I can spend time with my classmates and the PBB housemates,” shared the young actor. Last April 23 was Angel Locsin's 30th birthday and she spent her big day in Batanes. Miss Locsin's families and friends were not with her to celebrate as she chose to have a simple celebration this time. “Mas pinili kong mag-celebrate kung ano ang gusto ko. So pumunta po ako sa Batanes. Hindi po ako magpapaka-plastic kasi kaya rin ako umalis dahil naguguluhan ako kung ano ba ang mararamdaman ko sa pagti-thirty ko bilang babae. Siguro maiintindihan n’yo ang pakiramdam ko na ‘yan. Hindi ko alam kung masaya po ba ako o ise-celebrate ko ba siya o magbi-birthday blues ba ako,” she explains. Even her boyfriend kapamilya actor Luis Manzano was not invited by the actress on the said vacation. “Hindi ko talaga siya in-invite eh, buti nga pumayag. Naiintindihan naman niya kasi hindi naman ako pupunta sa isang lugar para mag-party o ano eh. Gusto ko lang lumawak ang knowledge ko sa ibang tao hindi puro ako, ako na lang,” added Angel. 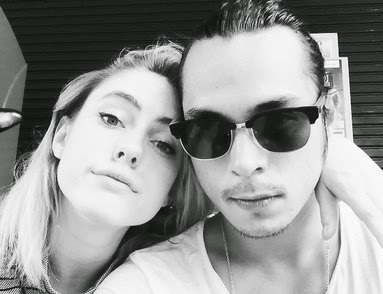 Showbiz couple Jake Cuenca and his girlfriend (model) Sarah Grace Kelley are in good relationship. It could be remembered that the former girlfriend of the kapamilya actor was Chanel Olive Thomas a Filipino-Australian girl. For his new lovelife, this is what he says. “Super saya. ‘Yun na lang muna (ang maibabahagi ko). Ayaw ko namang maudlot ‘yung nangyayari sa akin sa buhay ko ngayon,” explains Jake (with a smile in his face). Eventhough he is already in the right age, the young actor confirmed that he is not in a hurry in getting married. “Bahala na si Batman", he said. ung naramdaman mo, gawin mo. Sa akin, sa ngayon, ayaw kong madaliin kasi nakakasira lang sa relasyon kapag minamadali. Wala naman akong problema mag-settle down. Kapag naramdaman ko, gagawin ko. If hindi, hindi,” Jake insisted. Meanwhile, Mr. Cuenca is busy doing his new Kapamilya teleserye project that is expected to be aired soon in ABS-CBN. “Meron akong Pasion de Amor. Malapit na malapit na ‘yun. Sana abangan n’yo, tine-taping na namin siya ngayon with Joseph Marco and Ejay Falcon,” ended Jake. Toni Gonzaga and Paul Soriano's wedding day is approaching near, and Toni's sister Alex Gonzaga expressed her feelings on how she had accepted the fact that she and her sister would be living on the same house for merely few months from now. When asked in the interview, Alex said "Sabi nga ni Elsa, 'Let it go', and she smiled. Kasi siya rin naman, lagi niya akong tinatawag sa kuwarto niya. So we’re just making the most out of it na magkasama kami and hindi naman masama ‘yun eh. Kasi sinusulit n’yo lang ‘yung mga moments n’yo together na magkasama sa isang bahay,” added Alex. Meanwhile, until now Alex has no boyfriend yet, eventhough recently most showbiz couples got married, but Alex is not bothered of being a single. “Wala yata eh, okay lang ‘yun. I’m just loving life, that’s my love life, I love life. Gano’n eh, kasi hindi mo kailangang pilitin ang isang bagay na hindi para sa iyo. Kung para sa iyo, para sa ‘yo. Hindi naman kawalan ang mawalan ng Valentine’s (date). Nabuhay ka nga ng 364 days ng wala kang love life. So ang isang araw, wala ‘yun,” shared the young kapamilya actress. Alex just expressed her gratitude to all the projects that she is doing right now. "Every project is a dream come true. Kasi you’ll never know kung hanggang kailan ka rito sa show business. And as long as binibigyan ka ng trabaho, you always feel special and parang you have the reason to stay. So lagi nagpapasalamat ka sa lahat ng ibinibigay,” said Alex. Kapamilya hunk Sam Milby denies the fact that Piolo Pascual was the reason why he did not pursue his courtship to Shaina Magdayao two years ago. Though the actor admitted that he had a crush on the actress. It could be remembered that it was Piolo and Shaina who had a rumored relationship back then. “Walang dahilan, it’s hard to explain. I guess ‘yung tension siguro, ‘yung mga times na nag-hang out kami, we didn’t have a chance to really talk. Kasi laging kasama ‘yung mga kaibigan din. Ako, nahihiya din ako,” said Sam Milby. “It’s funny, kasi dati sabi ko na gusto ko siya ligawan. Actually at that time, two years ago, nothing happened. We didn’t get to hang out. We didn’t get to talk. So it’s nice na no’ng nag-hang out na kami with common friends, it started off na no pressure at all. Our friendship has gotten really nice,” explained Milby. Meanwhile, Kapamilya actress Shaina had recently admitted on one of her interviews that she and Sam Milby were dating. When it comes to rumored courtship of Sam, she told the press that the issue would be better to be cleared by the kapamilya actor. With this Sam Milby was interviewed about the issue and here is his reply, “First off, kung gusto kong ligawan or meron akong dine-date, parang ayaw ko rin sabihin kasi parang kapag sinasabi ko, parang hindi siya nangyayari,” Sam's reaction to the issue. “You know what’s nice? We have the same group of friends, showbiz and non-showbiz friends. Madalas kami nagha-hangout, pero kung nagde-date kami, never pa kami lumabas na kaming dalawa. So hindi kami nagde-date. We are always with our group of friends,” Sam insisted. MMK tonight (March 8) showcases the story of a young girl who has been repeateadly abused, SPG is recommended!!! Tonight's MMK episode of ABS-CBN (March 8) requires a "SPG" or Strong Parental Guidance to young viewers because of its strong contents about child abuse. Part of the story is the miserable life of Jenny (which will be portrayed by Abby Bautista) who grew up missing the love and guidance from her parents due to their occupied time in doing hard-works. Due to lack of guidance from them, on her young age at seven, Jenny's innocence was being abused (she was raped) by a person that she thought that she could depend on. In the purpose of avoiding what happened and to lessen the abusive experience of his daughter, Jenny was forced by his father to stay on her grand Father and grand Mother's house which is far from her parents. How did Jenny's life became more miserable on the hands of her close relatives? Part of the casts of the MMK episode tonight are Pen Medina, James Blanco, Lara Quigaman, Gloria Diaz, Kathleen Hermosa, and Junjun Quintana. The episode was directed by Emmanuel Q. Palo, written by Arah Jell Badayos, and researched by Agatha Ruadap and Michelle Joy Guerrero. This MMK is presided by its business unit head Malou Santos, production manager Roda Dela Cerna, and executive producer Lindsay Anne Dizon. Don't miss the longest-running drama anthology in Asia "MMK" tonight after the "Wansapanataym" in ABS-CBN. The Filipino Pride Manny Pacman Pacquiao (34 years old with 54 Wins (38 knockouts, 16 decisions), 5 Losses (3 knockouts, 2 decisions), 2 Draws) who had been lost twice in a row with Timothy Bradley and Juan Manuel Marquez back in 2012 is now again totally prepared to fight the American light-welterweight boxer Brandon Lee Rios (27 years old with 31 Wins (23 Knockouts, 8 decisions), 1 Loss (0 knockouts, 1 decisions), 1 Draw. 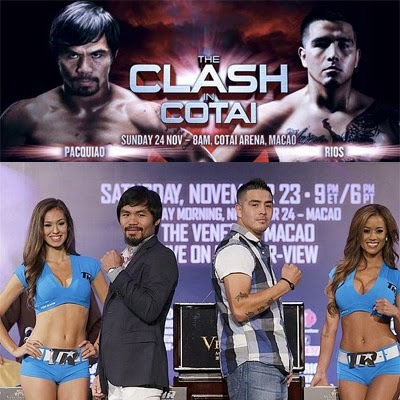 The much awaited fight is already set this coming November 24, 2014 at The Venetian Macao, Macau. They will be fighting for vacant WBO International Welterweight title. This will be an entertaining match that must be watched. Mark your calendar this coming Sunday and tune in to this page for an update. Who do you think will win this fight? Leave your comments below. Kapamilya network has been continuously researching, developing, and creating TV programs that would benefit all ages. Many are educational and Kapamilya fans are getting satisfaction with the content and the message of the show. Our country was struck by many calamities but we are still strong to face the consequences. Another big issue that also made us down (as filipinos) are some ongoing government controversies that are so awful to the eye of young generations. With this kind of surrounding, do you still consider yourself as honest? Well we should be positive all the time, we know that when you do bad it would also return to you in some other ways. So let us just continue to be honest and everything will be in placed in your life. 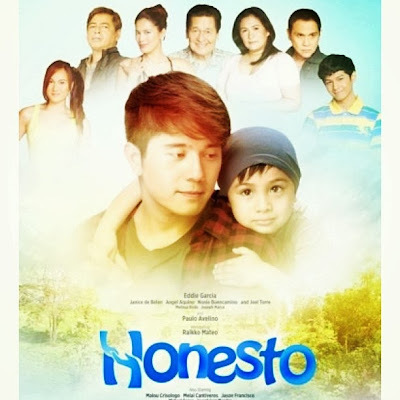 The upcoming TV Show of ABS-CBN is entitled "Honesto" which will premiere on October 28, 2013. Cast Members of the show will be Eddie Garcia, Paulo Avelino, Janice De Belen, and many more. The grandest launch of Honesto will be aired live in ASAP this coming Sunday (October 27, 2013). 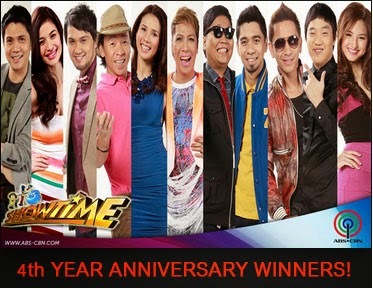 The final day of waiting finally arrived and all of the It's Showtime hosts (Karylle, Jugs Jugueta, Teddy Corpuz, Vhong Navarro, Billy Crawford, Coleen Garcia, Vice Ganda, Kuya Kim, Anne Curtis, Jhong Hilario, Ryan Bang, Eric "Eruption" Tai) were enthusiastic that their team would win. The judgement was fair as the team who got the highest average rating from all of the judges was being recognized. It was decided by the ABS-CBN Management that since the award (monetary) of the winner on the 4th anniversary of It's Showtime "Magpasikat" will be donated to their desired beneficiary, aside from the grand winner, 2nd and 3rd placer were also given a price each. The wait for the result was so excited and before the announcement of the winner, "Kuya" from Pinoy Big Brother was chosen to announce the result (as Pinoy Big Brother is expected to air again in Kapamilya Network soon). The first team that was announced by "Kuya" who got Php100,000.00 price (which will be given to their chosen charity), the 3rd placer is team Vhong-Coleen-and Billy. And of course the last team to announce was the Winner of 4th Anniversary of "It's Showtime" who received Php200,000.00 for their chosen charity, they are none other than team Jugs-Teddy-and Karylle.